Tue., 18 Feb. - Wed., 11 Mar. Thu., 9 Jan. - Sat., 18 Jan.
Wed., 23 Oct. - Fri., 1 Nov.
See all 34 properties in Abu Dhabi Intl. 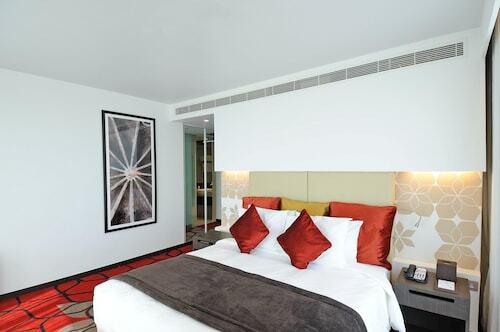 Situated in Abu Dhabi, this hotel is within 9 mi (15 km) of Yas Marina Circuit, Yas Marina, and Ferrari World. Yas Waterworld and Yas Mall are also within 9 mi (15 km). 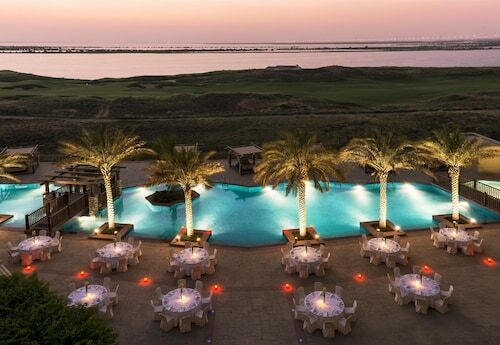 Situated in Abu Dhabi, this hotel is 1.4 mi (2.2 km) from Al Ghazal Golf Club. Situated in Abu Dhabi, this hotel is 1.4 mi (2.2 km) from Al Ghazal Golf Club and within 6 mi (10 km) of Yas Marina Circuit and Ferrari World. Yas Marina and Higher Colleges of Technology-Abu Dhabi Women's College are also within 6 mi (10 km). 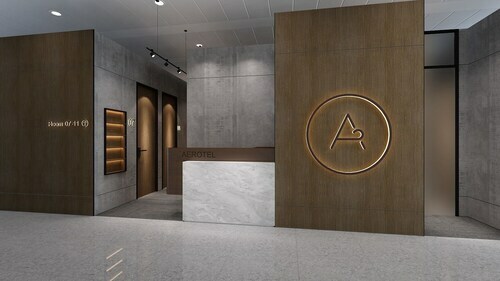 This family-friendly Abu Dhabi hotel is located near the airport, within 1 mi (2 km) of Du Arena, Yas Marina Circuit, and Yas Marina. Ferrari World and Yas Waterworld are also within 2 mi (3 km). This family-friendly Abu Dhabi hotel is located near the airport, within 2 mi (3 km) of Yas Marina Circuit, Ferrari World, and Yas Waterworld. Warner Bros. World Abu Dhabi and Yas Mall are also within 3 mi (5 km). 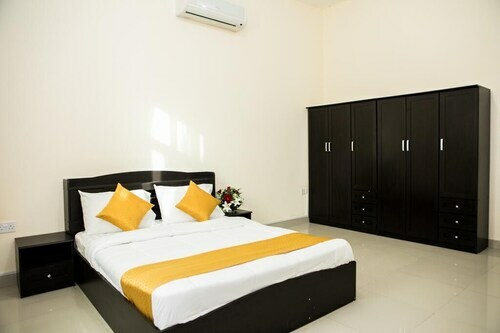 This family-friendly Abu Dhabi hotel is located near the airport, within 1 mi (2 km) of Yas Kartzone and Du Arena. Ferrari World and Yas Waterworld are also within 2 mi (3 km). Question : What is the cheapest date to fly to Abu Dhabi? 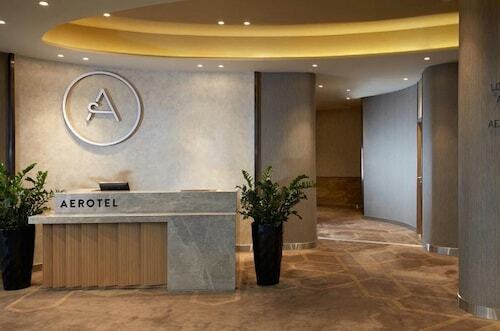 Answer : Apr 27th has bookings (as of Apr 22nd) for as little as $1,287. That comes in 46% below the average price. Saving on flight costs means you'll have more money in your hand. Answer : The cheapest day to fly from Calgary to Abu Dhabi is on Saturday. So, if you would like to save a bit of money on your next holiday look for flights on Saturday. Question : How long do most people stay in Abu Dhabi? Question : How much is a plane ticket to Abu Dhabi (AUH) from Calgary (YYC)? Answer : Cost can range anywhere from $1,287 to $20,817, prices for YYC to AUH do change a lot more than the majority of routes from Canada. The further out you book your ticket, the more likely you are to save on your trip. Question : What is the cheapest airline flying from Calgary to Abu Dhabi? Answer : Delta Air Lines is your best bet for finding that sought-after low fare. They offer fares as low as $1,287, while rates for similar flights can cost as much as $20,817.